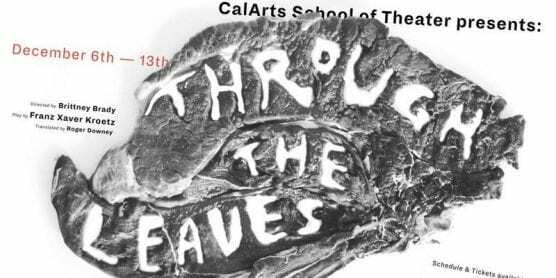 CalArts School of Theater presents, "Through The Leaves," which runs Dec. 6-13. | CalArts. The CalArts School of Theater production, Through the Leaves,” directed by Brittney Brady (BFA 20), opens on Thursday, Dec. 6, and runs through the following Thursday, Dec. 13. Written by German dramatist Franz Xaver Kroetz in 1976, Through the Leaves is about the bleak, brutal relationship between Martha, a butcher who is desperate with loneliness, and Otto, a domineering factory worker. Played by School of Theater actors Juliana Alvarez (Theater BFA 20) and Samuel Garnett (Theater BFA 20), Marth and Otto “are locked in a battle balancing independence and partnership,” according to the program. Through the Leaves is a fable of brutality and loneliness. 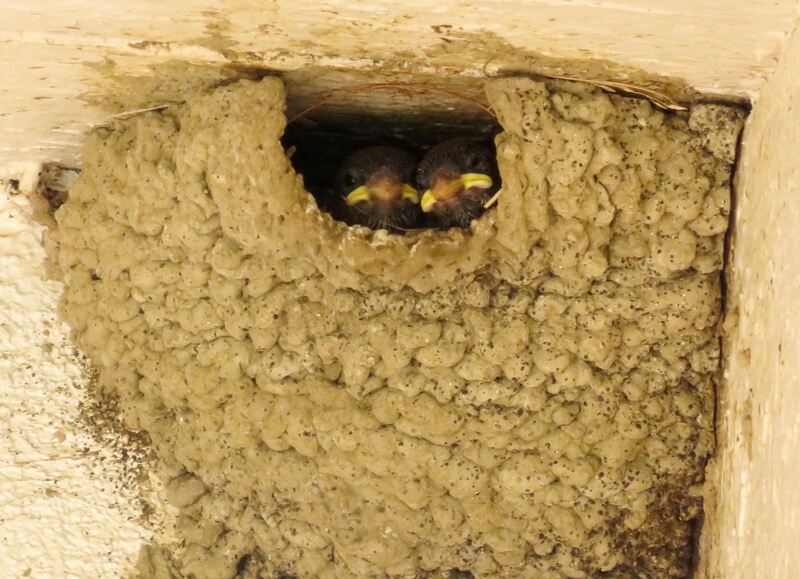 Martha and Otto are so rigidly confined by their circumstances, the society that they live in and their own habits and perspectives that it creates an unbearable pressure within them. Otto responds to that pressure with force and violence, impulses rooted in a desire for control. The play consciously represents the brutality of a man against a woman in order to reveal a diseased society. The production features scene design by Song Yi Park (MFA 19), costume design by Edurne Fernandez (MFA 19), lighting design by Christine Ferriter (MFA 19), sound design by Bo Li (MFA 20), art by Rashi Jain (MFA 19), music by Evan Johnson (Music BFA 20), video design by Christopher Jungwoo Kim (MFA 19), cinematography by Siru Wen, fight direction by faculty Steve Rankin, stage management by Ethan Hollander (MFA 20), production management by Ni Li (MFA 19), and technical direction by Mitchell Leitschuh (MFA 19). Thursday, Dec. 6, 8:00 p.m.
Friday, Dec. 7, 8:00 p.m.
Saturday, Dec. 8, 2:00 p.m. & 8:00 p.m.
Monday, Dec. 10, 8:00 p.m.
Tuesday, Dec. 11, 8:00 p.m.
Wednesday, Dec. 12, 8:00 p.m.
Thursday, Dec. 13, 8:00 p.m.